AUUM is continually undergoing updates as results from our clinical studies become more known and published. There are companies that reference our clinical studies and independent publications while offering what appears to be similar products. When it comes to your health and well being, insist that the product you purchase are indeed the same products which were used in the clinical studies. 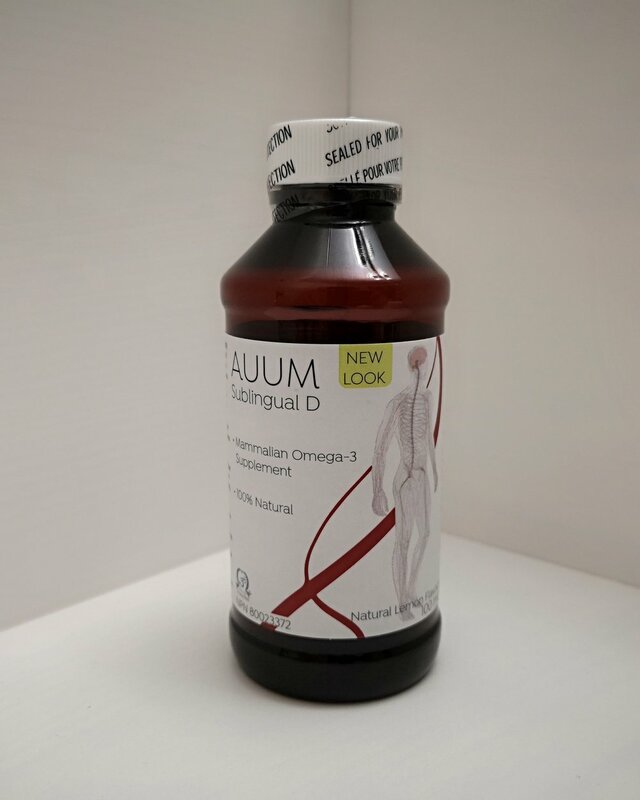 Any company can create a website and a product in a few weeks, it takes years of carefully monitored research in many locations to develop AUUM's successful formulations. The products listed below can be purchased online at retail price. Once you have experienced the results that you have been searching for, a monthly membership program can save 15-30% on subsequent orders. *Health Canada does not permit manufacturers to recommend more than 1000 I.U. of Vitamin D3 per day. In order to be compliant, the Essential D3A dosage is recommended as 1ml per day. This would be well below the 5ml of mammalian omega 3 required. If you wish to maintain the 5ml of mammalian omega 3 necessary and limit your intake of Vitamin D3 to Health Canada recommended amounts we suggest you order the Sublingual D formulation.